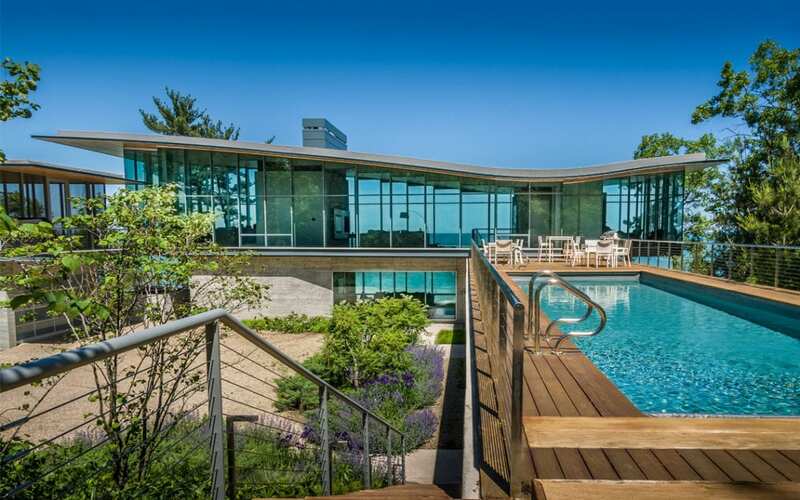 Booth Hansen has been awarded a 2014 AIA Chicago Distinguished Building Honor Award for the Beverly Shores Residence. This two story home, nestled in the dunes, consists of an undulating glass upper floor, perched atop a concrete ground floor. The home both preserves and connects to the natural environment, while maximizing views to the water. Congratulations to the team: Joseph King, Andy Weber, and Larry Booth. Read more about the Beverly Shores Residence here. Read more about the jurors’ thoughts and see all award winners Click Here.